An emergency CRC meeting was held last Tuesday to elect a replacement Returning Officer. We need somebody who ‘can hit the ground running’ with the upcoming elections, said Conlon. Conlon himself nominated Cat O’Driscoll to fill the vacancy. Cat is currently the Vice President for Academic Affairs and Quality Assurance in the USI (Union of Students in Ireland). He stated that O’Driscoll is ‘intimately familiar with student democracy’ calling her his ‘ideal replacement’. Education officer, James Donoghue, seconded the nomination, saying ‘she is brilliant’. When put to the CRC, each member of the council was in favour of O’Driscoll’s election. Conlon stated that it “has been an honour and a privilege” to serve as the Returning Officer and that it is with “huge regret” that he announces his departure from the role and from DCU. Conlon stepped down from the position as he has been offered “an opportunity of a lifetime in Washington.” He will be Head of Creative at a communications technology business, though he was not at liberty to reveal the company name. Before Conlon officially stepped down he made an emotional speech in which he spoke about the importance of student politics. He thanked his “friend, confidante and leveller”, Sean Cassidy. Cassidy said Conlon has been “a singular force of change in DCU”. He described him as passionate, generous and intelligent. Conlon was greeted with a standing ovation from the council as he stepped down from the role. 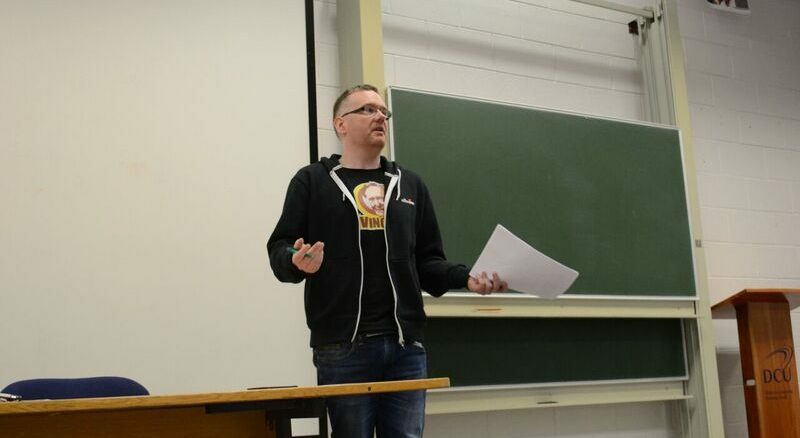 Throughout his time in DCU, Conlon founded the Journalism society, was Director of News for DCUfm, was News Editor and Editor-in-Chief of The College View, President of DCU LGBTA, leader of two successful ‘Yes’ to USI referendums and was advisor to multiple class councils and Union executives.